What to heck? Can anybody ID? Does anybody know what this goes to? It came in my parts rig Greenbriar..previous owner thought it was Corvair..??? Looks like a small station wagon back seat. Re: What to heck? Can anybody ID? Looks like a late model rear seat, if its for a convertible its worth some $$$. That's a folding seat so not from a convertible. Based on the curved-corner cushion, I'd say it's from a 4-dr.
Edited 1 time(s). Last edit at 11/02/2018 09:54AM by cnicol. Not 66 as they had stainless buttons. What did the 65s have? 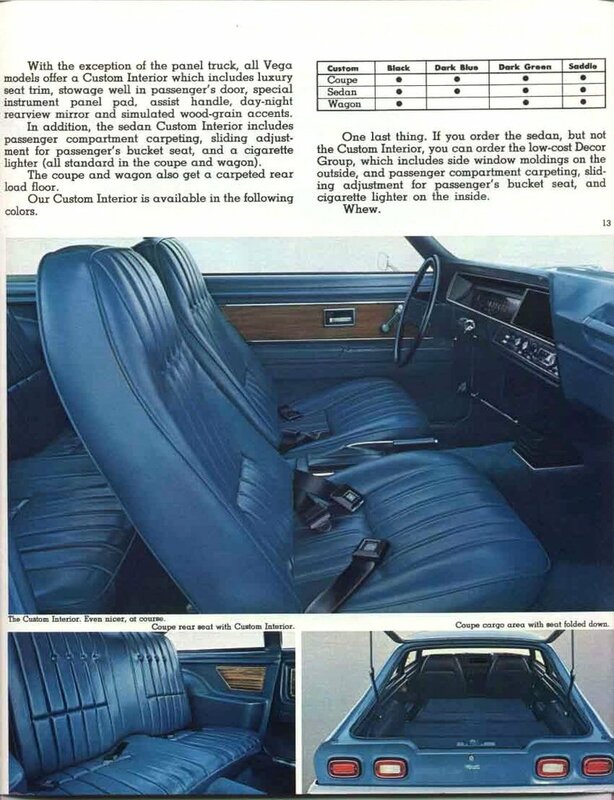 It looks like a 4-door back seat, with non-stock upholstery to me. 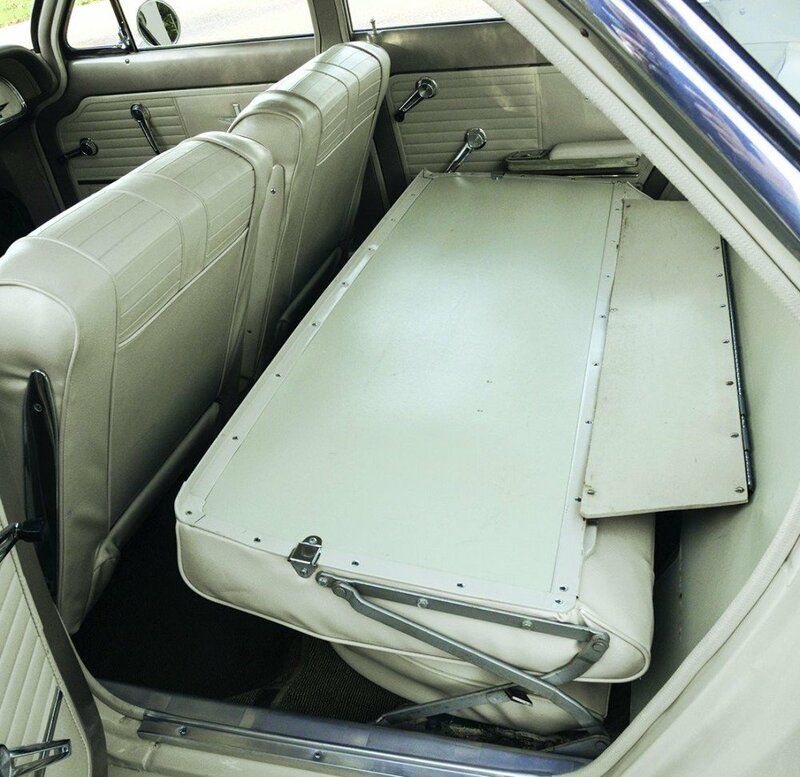 I think that is from non-Corvair station wagon. 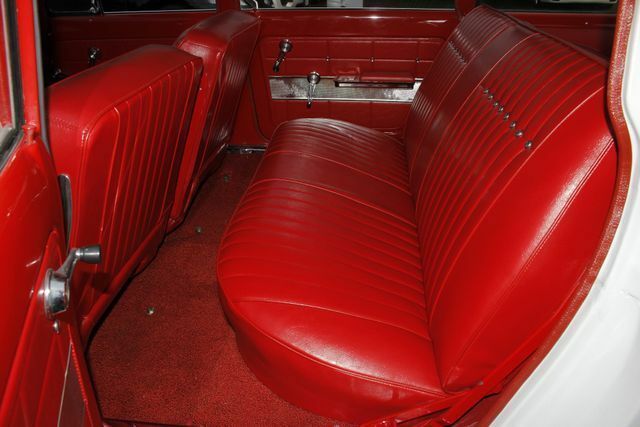 Maybe the rear facing seat.Upholstery is not Corvair. Back sure looks like the seat in my '65 corsa,same shape and hinges. LM Corvair hinges have the 3 holes in a row and the inboard edge is straight, no cut outs. Doesn’t look Corvair to me. Vega wagon, or maybe even hatch? Too big for a Vega. I owned 3 hatchbacks. 62 -65 Chevy II most likely. Did a quick search in Google and not Chevy II from what I saw. Any numbers on the hinges? Edited 2 time(s). Last edit at 11/03/2018 01:45PM by Lane66m. LOL, the only thing that seems certain is if anybody wants it's theirs..
Edited 1 time(s). Last edit at 11/03/2018 02:09PM by C95. > Any numbers on the hinges? Good idea I'll check tomorrow..I should have mentioned the cushions are 52 inches wide so about 55 inches overall with the hinges..
Why not put them on ebay for a B I N price of say... $600? Hear that..listing is free and nothing ventured nothing gained..I certainly have no use for it.. I wonder if a station wagon folding seat is the same as an EM 4-dr rear seat. > same as an EM 4-dr rear seat.